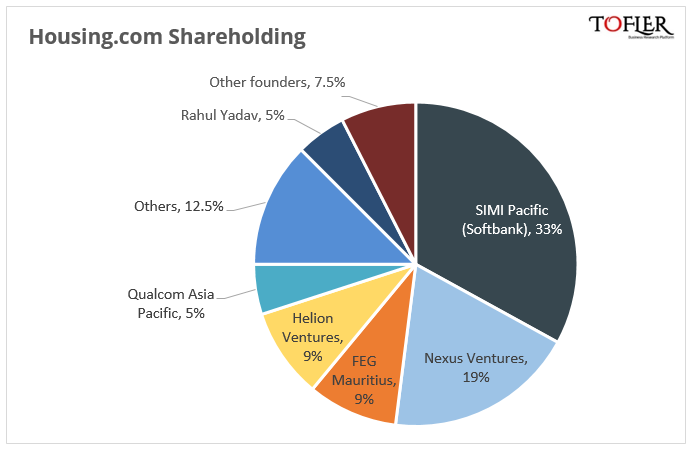 From rumours about acquisition to CEO’s spat with the Board of directors, sacking of its CEO followed by mass firings, Housing.com and its ex-CEO Rahul Yadav have consistently been in news, mostly for the wrong reasons, during the past one year. While they are still trying to recover from their year of turmoil, their report card for FY 14-15 is out and they don’t seem to have done too well. Founded in 2012, Housing is a Mumbai based real estate search portal, where users can sell/buy or rent/let-out their properties. 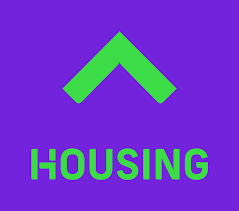 Housing.com is operated by Locon Solutions Private Limited. Housing has reported a total revenue of INR 12.7 crores in FY 14-15, which is nearly six times of its revenue in the previous fiscal. 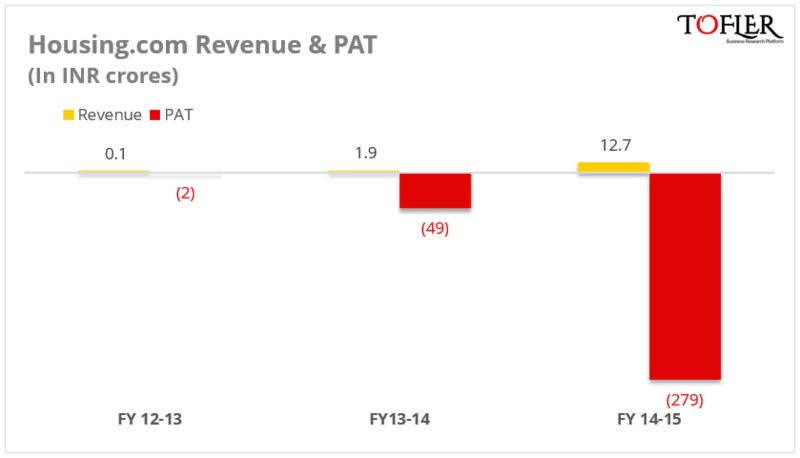 Out of this, INR 5.5 crores is revenue from operations. Against this, they have reported a net loss of whopping INR 279 crores which is also about six times of its loss in the previous fiscal. One of its major competitors, CommonFloor, had reported a revenue of INR 45 crores with a loss of INR 86 crores in the same period. With their much talked about ‘Look up’ campaign, it is easy to guess that their largest expense was on Advertising and promotions – 42% of total expenses- in the fiscal. This was followed by HR expenses – 29% of total expenses. Notable, they spent a huge sum of INR 27 crores on ‘Legal professional charges’. 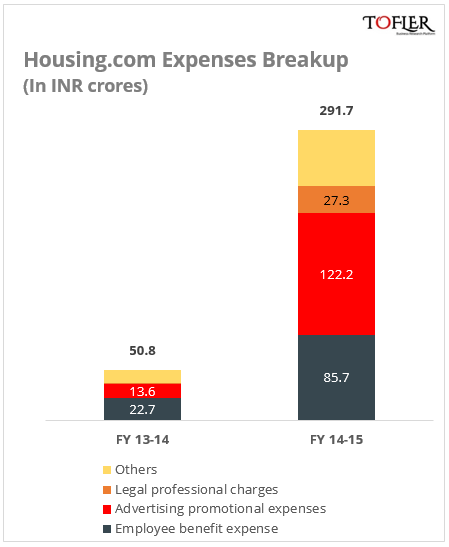 Following chart illustrates the breakup of Housing’s expenses. The Company was founded by 12 IIT students – Rahul Yadav, Neeraj Bhunwal, Abhishek Anand, Snehil Buxy, Sanat Ghosh, Ravish Naresh, Amit Raj, Rishab Agarwal, Advitya Sharma, Jaspreet Saluja, Vaibhav Tolia, Saurbah Goyal. Since Housing sacked its CEO Rahul Yadav this July, they have closed down a few of the business lines, cut down their employee strength drastically and have revamped almost all of their senior management. 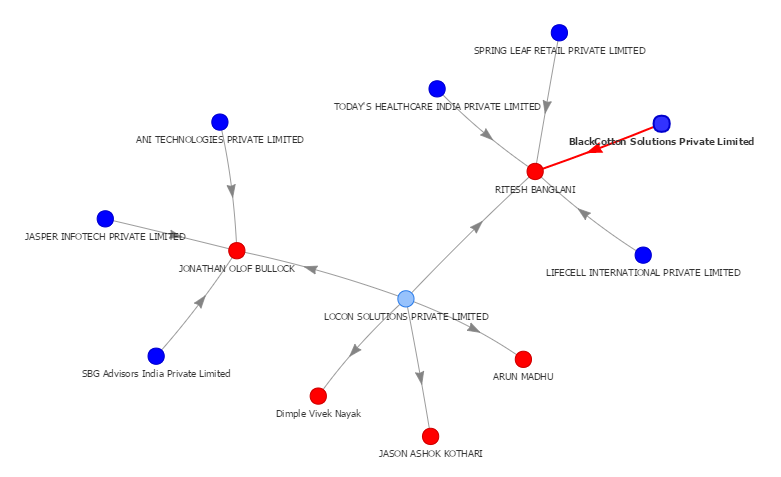 There have been news of their acquisition talks with Quickr, which did not seem to materialize, and stake sale talk with Snapdeal and Newscorp. It looks like the new CEO Jason Kothari still has a long tough path ahead to get the house(ing) in order. Nonetheless, Housing.com surely seems to have a lesson or five for the upcoming entrepreneurs on what-not-to-do-with-your-startup. For annual reports, balance sheets, profit and loss, company research reports, directors and other financial information on Indian Companies, head over to www.tofler.in – the business research platform.